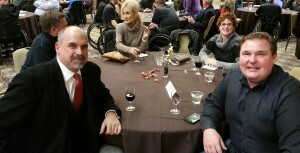 The closing event to the 7th annual American Collegiate Society for Adapted Athletics Wheelchair Basketball Bash was held Saturday, January 16, at the Hyatt Regency and Select Homes was involved in a big way. Five premium packages were up for bid in a live auction and leading that portion of the evening was Mike King. This was the second year King was involved. “It is a great way to give back to the community,” said King. 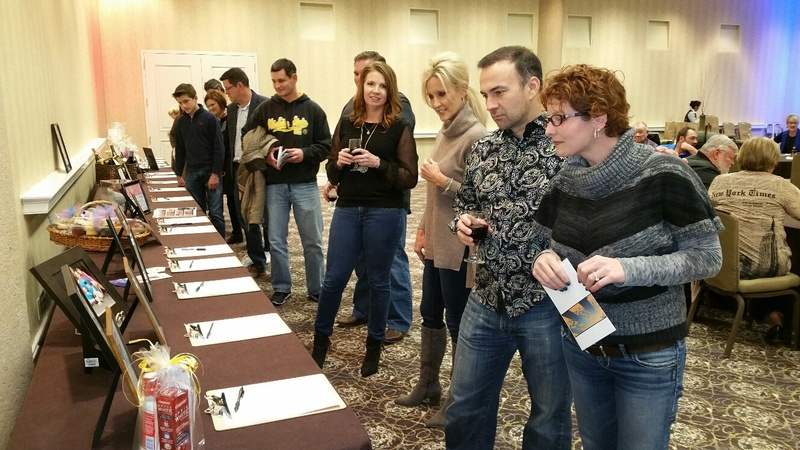 “It ties in with Select Homes’s philosophy of giving back.” In 2015, Select Homes helped to raise several hundred thousand dollars for local charities through live auctions. King guided friendly banter and bidding to meet—and beat—the net worth value of the items. The packages included a Wichita State University basketball signed by coach Gregg Marshall and this year’s team with six center court tickets to the Loyola game on January 27. The gentleman that won the bid allowed the basketball to be re-auctioned in order to raise more funds. The K-State Bill Snyder signed football and tickets package was so popular that two were offered. Two winners have four tickets to any home game of their choosing, a parking pass as well as unlimited food and drinks seated in the Sherwood’s private box seats. Also offered was a custom-built storm door by the Southard Corporation. Installation was included in the package. Philanthropist Helen Galloway brought an exquisite David Yurman black diamond ring for auction. To boost the bids, she added matching earrings. The packages raised $7,525 for the ACSAA. Other items were available through silent auction and Select Homes team members bid on several to help this worthy cause. The funds raised will benefit college students that play wheelchair basketball at their respective schools. 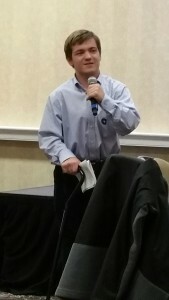 The ACSAA started in 2009 by Rob Egan, a 14-year old who saw the need for young adults with disabilities to have a chance to play adapted sports. Rob has cerebral palsy and he understands the need firsthand. “The basketball bash originally started as an awareness event with able-bodied people to show what it was like playing basketball,” said Rob Egan, president of ACSAA. ACSAA is a 501(c)3 not for profit public charity. The organization exists to further competitive athletic opportunities for disabled students at the college level through tournament style competitions. For more information about ACSAA, go to www.acsaaorg.org. Mike King was actively involved in six live auctions for local nonprofit groups in 2015. “My favorite part about doing this is having the opportunity to give back, to promote a worthy cause and to raise awareness for a great organization like ACSAA,” King said.